PYONGYANG: In mist-covered hills, North Korean soldiers, sailors and civilians gathered Friday at a heroes’ cemetery to commemorate their brothers in arms on the anniversary of the end of the Korean War. The two sides had fought each other to a standstill after the North invaded the South, Seoul had changed hands four times, millions were dead and Korea was a divided, war-ravaged ruin but the North’s self-proclaimed victory has long constituted a key plank of the Kim dynasty’s claim to legitimacy. 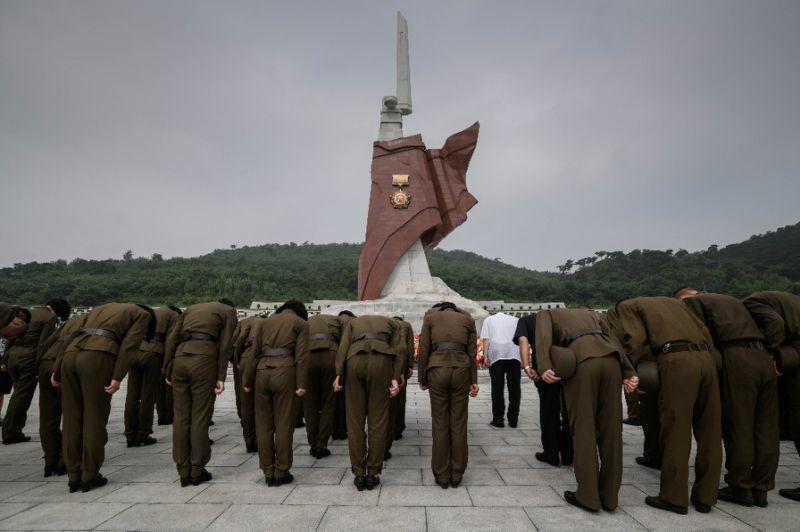 Platoon by platoon, units gathered at the graveyard on the outskirts of Pyongyang dominated by a towering sculpture of a rifle muzzle and bayonet, adorned with the medal of a Hero of the Democratic People’s Republic of Korea, the North’s official name. An announcer intoned: “Let us bow before the martyrs who took part in the Great Fatherland Liberation War” — Pyongyang’s name for the conflict — before the troops doffed caps and bowed. According to Pyongyang’s histories, the first of the cemetery’s occupants to die, Jang Thae Hwa, 22, blocked a pillbox opening with his chest one day after the war began in 1950 so that his unit could advance.